Do you make smoothies? I LOVE making smoothies for breakfast because it is fast and easy to take with you on busy mornings. 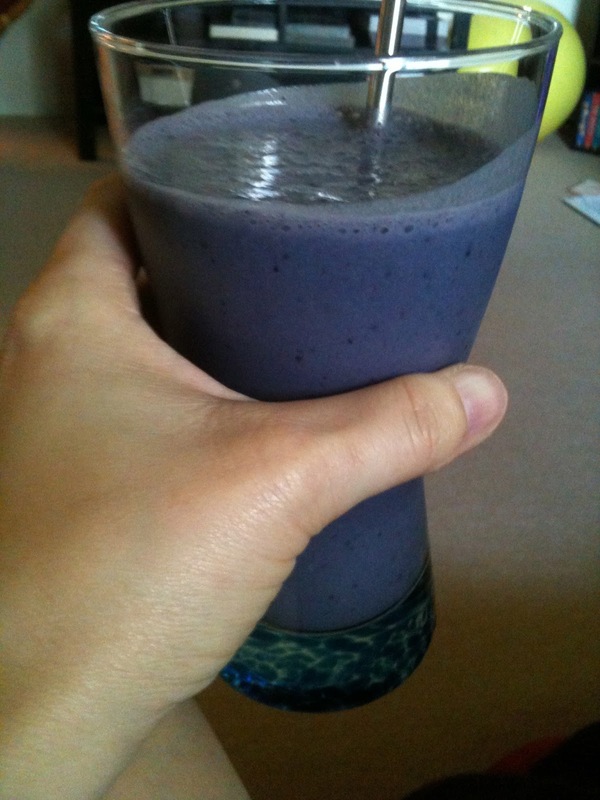 I make my smoothies every morning in Back To Basics Blender Express, perfect for a 1 serving smoothie to take on the go! It is a great price & I have had mine for over 5 years and it still works great. Do you add greens to your smoothies? If not, you should try it! There are many health benefits to adding greens to your smoothies, check this out for details. I do not add a huge amount of greens to my smoothies, as I struggle drinking something that is green and also there is some research out there that having "green smoothies" might cause some issues I would rather avoid. Here is one such article about the negative side effects of having a "green smoothie". 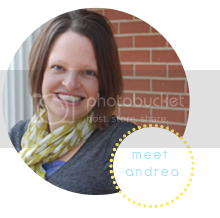 Sometimes it can be frustrating with all the conflicting health information out there, so you just have to find some middle ground amongst it all. This is why I do not make a "green smoothie" I just add some greens to my berry smoothie. I have been adding spinach to my smoothies for awhile now and got tired of grabbing a handful out of fridge, washing it off, and then tossing it in my smoothie. Do you have the same annoyance? 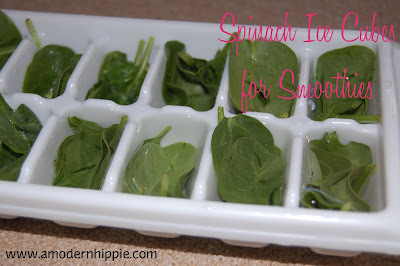 If so, I have the solution-- Spinach (or any kind of green) Ice Cubes! 1. Wash & drain spinach. I use my salad spinner. 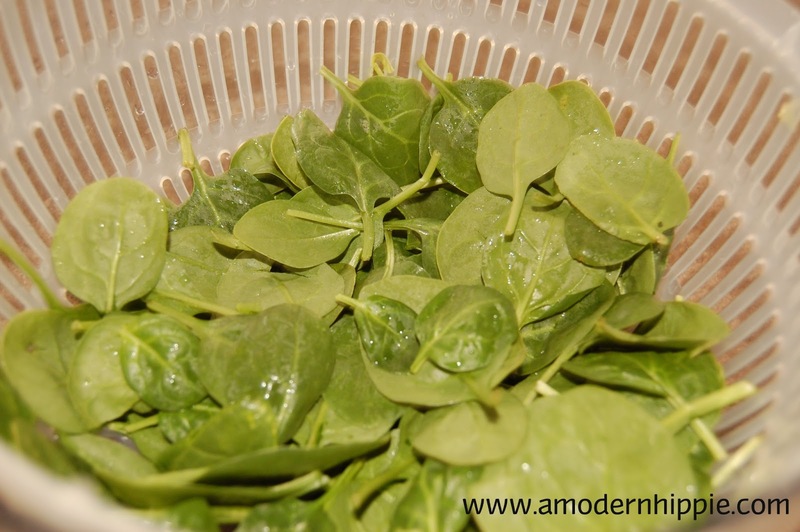 Put the spinach in colander part of spinner, then place in bowl of spinner. Add some veggie wash, especially if you are not using organic spinach, and run water into colander & bowl until it covers the spinach. Let sit for 10 minutes or so while swishing around every few minutes. Drain & rinse spinach. 2. Take ice cube trays and place 3-4 spinach leaves in each ice cube slot. 3. Fill each slot with filtered water. You may need to push some of the spinach leaves back down after adding water to tray. 4. Place trays in freezer and let it do the difficult work. Once cubes are frozen, dump out and store in zip-lock bag in freezer. Note: I HIGHLY recommend using organic greens and berries, as they are included on the Dirty Dozen List. I would love to know what you put in your smoothies. Do you add greens to your smoothies? This is awesome! I'm so doing this. I love smoothies and am finally adding spinach to mine. Today's "green" smoothie turned out great, even the kids wanted more. I'm so thankful for this tip, we will definitely be doing this! 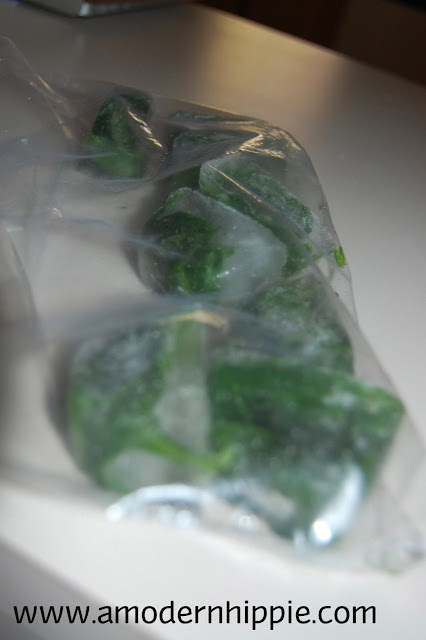 Hope you have tried to make spinach ice cubes by now and they are working for you!